2x 12″ LP + CD included. Shrinkwrapped. Tracklist LP: A1. Ladies and Gentlemen, Boys and Girls A2. Lila A3. Hyperbole B4. Torture B5. The Eternal Feminine B6. The Crown of Creation C7. TKO C8. Fílaphilia (A tribute to Siggi Armann) C9. To Boris With Love C10. Liquid Bread & Circuses D11. Salire D12. Breakfast in the Himalayas D13. Wirewalker D14. Epilogue Short Info: Two-thirds of Sigur Rós, bass player Georg Holm and drummer Orri Páll Dýrason, have teamed up with Icelandic composer Hilmar Örn Hilmarsson and Sigur Rós touring guitarist, and Georg’s brother, Kjartan Holm to create an uninterrupted 72-minute instrumental album inspired by 100 years of archive footage of vaudeville, circuses and carnivals. 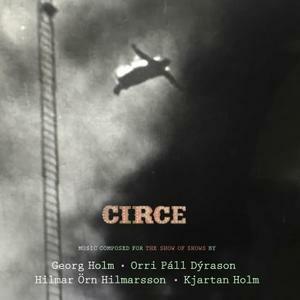 A pulsating work throughout, the 14 track album, which has been made to accompany the forthcoming BBC documentary film The Show of Shows, was written and recorded at Sigur Rós’s new studio space in Reykjavik, and features contributions from the celebrated South Iceland Chamber Choir.